President Trump’s tweets reverse a year-old policy set under the Obama administration. The Pentagon had lifted the ban on transgender service members in June 2016. The president “came to the conclusion that it erodes military readiness and unit cohesion and made his decision based on that,” said Sanders, adding that the White House and the Pentagon will work together to implement the new policy “lawfully,” including what it will mean for current transgender service members. “It’s obviously a very difficult decision, not a simple one, but the president thinks it’s the best one for the military,” she said. McCain added that Pentagon is conducting a study on “the medical obligations it would incur, the impact on military readiness and related questions” associated with the enlistment of transgender people not yet in the military. “I do not believe that any new policy decision is appropriate until that study is complete and thoroughly reviewed by the Secretary of Defense, our military leadership, and the Congress,” he said. Trump’s announcement comes exactly 69 years after President Harry Truman issued an executive order desegregating the military. U.S. Army veteran Ian Ryan, left, of Dennis, Mass., and former U.S. Army Reserve 1st Lt. John Affuso, of Boston, right, carry an OutVets banner while marching with a group representing LGBT military veterans during a Veterans Day parade, Tuesday, Nov. 11, 2014, in Boston. 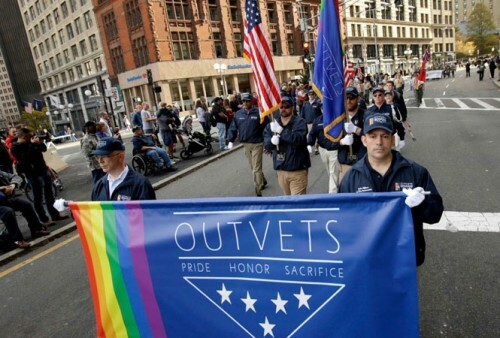 It was the first time a group representing LGBT military veterans marched in the parade. 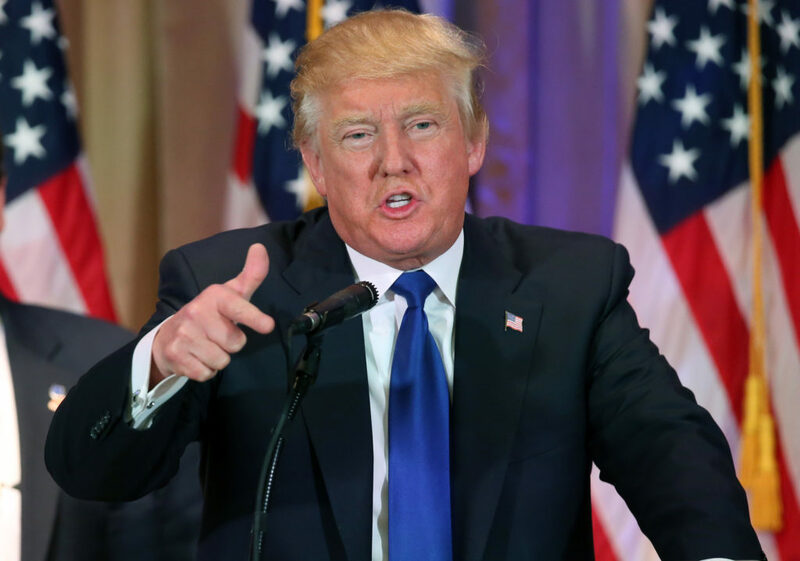 Much of the early reaction to Trump’s announcement was critical. The Human Rights Campaign immediately tweeted its disapproval. “Threatening 15K currently serving troops who put their lives at risk is unpatriotic and dangerous,” the LGBTQ rights organization said. “Every patriotic American who is qualified to serve in our military should be able to serve. Full stop,” tweeted former Vice President Joe Biden.